This link is to information about NOAA Weather Radio including: frequencies and maps of coverage for the various NOAA weather transmitters. Online school for weather from NOAA! Additional links that where suggested to us. We are NOT responsible for their content. Home and health preparedness guide link submitted by Caylie, thank you Caylie! Insurance info for disaster preparedness. This link was suggested by a young student named Elaina. Thank you Elaina! Understanding Air Currents and Meteorology Suggested by Patrick at W.B. Goodwin Community Center. Earthquake safety guide. Suggested by another student named Jaclyn. Reviewing earthquake safety and preparedness. Thanks Mary! Lightning Information. Libby, a home schooler, found this link to information about lightning. Home Storm Spotting - Thanks to a student named Mia. A Telecommunications Timeline - Thanks Samantha! Want to learn about hiking? https://hobbyhelp.com/hiking/ Thanks to Jenny Brown. 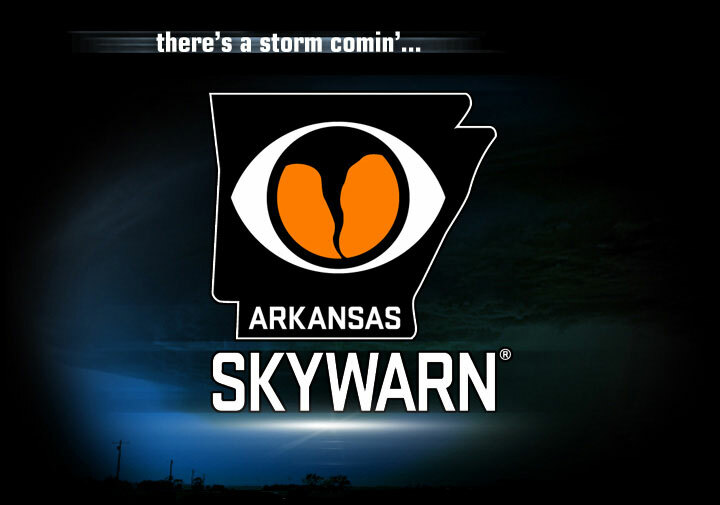 Announcing the Arkansas Skywarn website.